I've never written a review or given feedback of any kind for a product I've purchased. However, I wanted to take the time to do so for this product. Your company has been absolutely amazing and so one of a kind. The freezer tray is great, and I'd recommend it to everyone, and have started doing so, but your personalized and thoughtful correspondence goes above and beyond. You have made buying a product fun- so unusual! Hi - I just wanted to take a moment to say thank you. Your product is fantastic and your customer service is even better. I really appreciate your approach and your business model. Also excited to feed my little guy homemade food with your help. So glad I stumbled upon your product -- I'll be recommending you to all my new mom friends! I'm a first time, working mom. 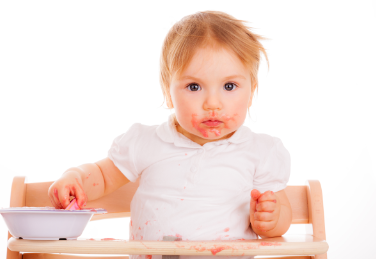 I knew from the beginning of my pregnancy that I wanted to make my own baby food. It is incredibly simple to make your own food and knowing exactly what my daughter is eating is comforting. I research everything and Kiddo Feedo had great reviews and customer service seemed excellent as well. I ordered the product and it came just as advertised. It is easy to use and easy to clean, super important and the portion sizes are perfect. Definetly will be purchasing more! Fantastic find!! I love it!!! I spent way too long trying to pry food out of the trays I originally bought for my son's baby food. After using them once, I am on cloud nine with how easily the frozen food slides right out!! I wish I would've bought these three months ago when I started the food making process! I highly recommend these to anyone who wants to easily prepare and freeze their own baby food! Love them! I never write reviews but I just bought them and can not stop raving about them! These are perfect for freezing baby food! The food pops right out of the tray from the freezer. The individual slots hold more than other brands which is perfect for my growing boy! Love, love them! Trays are great! I ordered 2 of these trays back in April. I love the trays for freezing batches of food. The lids are a bit tricky, but I like how they fit in my freezer. I've been so happy with them I came back to order a third. The company has been a pleasure to work with, the added personalization and customer service are top notch!